The climate of spirituality is changing. Many people cannot accept the tenets of rigid dogma and doctrine. They are leaving and staying away from traditional churches. Organizational spiritual consulting can help your faith community to draw deeply from the roots of your tradition, while opening up that experience to wonder and new possibilities. There is a different way to "do" church that speaks to today's spiritual quest. The Integral Workshop is designed for organizations that wants to be intentional about spiritual, emotional and social growth. It's a chance to exercise mind, body and spirit. The end result of the workshop is that each participant develops an Integral Life Design (ILD) that addresses body, mind, spirit and shadow. Throughout the course of the day, participants are introduced to and experience practices that they might decide to include in their individual ILD. The workshop is based on Ken Wilber's work and the intensive workshops offered by the Integral Institute©. In addition to workshops, private sessions can be arranged to develop and implement an Integral Life Design and individual coaching is available for follow up. Religion is characterized by a clearly defined set of values that are shared by a group of believers. The concept of spirituality is more general and is not limited to a particular religion; therefore, spirituality is usually a personal, individualized experience. Spirituality entails feeling or seeking to feel connected to something greater, which may or may not make the individual feel more connected with others. 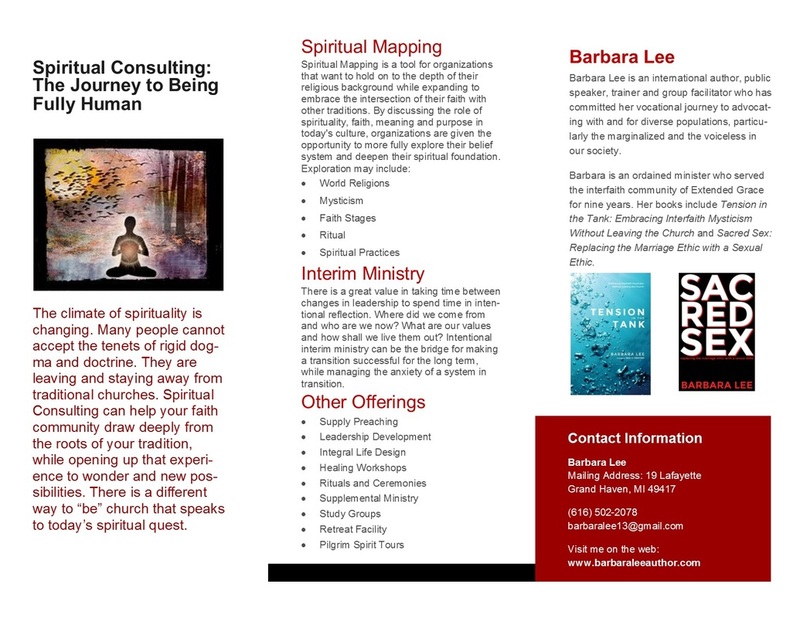 I am happy to offer Spiritual Mapping to organizations that want to hold on to the depth of their religious background while expanding to embrace the intersection of their faith with other traditions. By discussing the role of spirituality, faith, meaning and purpose in today's culture, organizations are given the opportunity to more fully explore their belief system and deepen their spiritual foundation. Our society is failing to meet the need for ritualizing significant life changes and milestones. 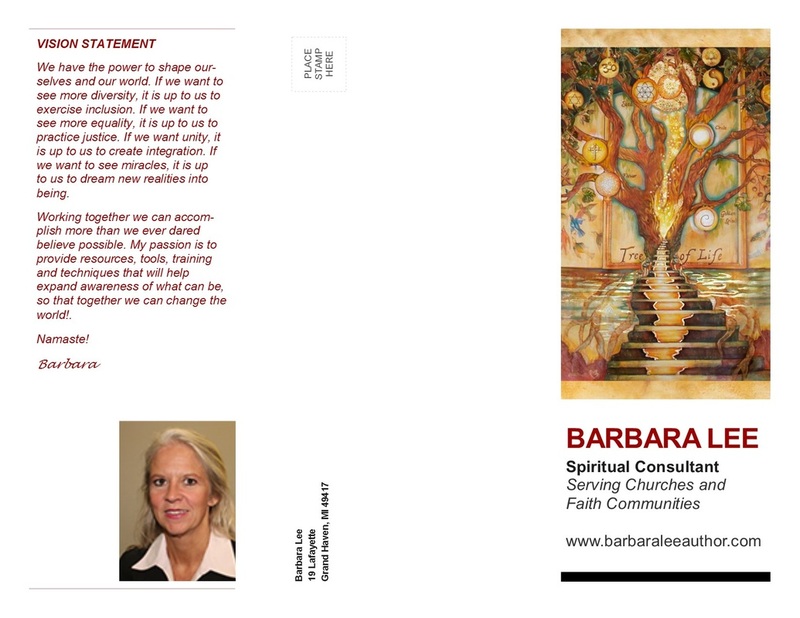 Recognizing the importance of marking life transitions with conscious awareness and ceremony, I can help your faith community to craft modern day rituals that draw on the roots of tradition while offering more helpful and healthy interpretations of meaning and symbolism.